Remarkable video footage of a shark attacking Australian world champion surfer Mick Fanning while he was surfing in a competition at Jeffreys Bay, east of Port Elizabeth in South Africa. The shark approaches Fanning with its dorsal fin out of the water then knocks him off his board. He manages to fight it off, punching it in the back. Fanning, the world number four and a triple world champion, said he punched and kicked out at the shark as it broke his leg rope. The 34-year-old returned to the shore unharmed with the help of organisers, with the competition halted. Quick actions by rescuers may have saved Fanning's life. Fellow competitor and friend Julian Wilson has been commended for his bravery when he paddling towards Fanning to render assistance. 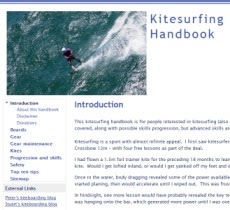 A kitesurfer was been reported missing at 11:15am on Tuesday 21/7 after an abandoned kite was found near the Esplanade in St Kilda and a kiteboard was found washed up at Brighton Beach. If this is your gear or you know who owns it, please contact Victoria Police to advise them. The search has been called off as Police believe that someone has abandoned this gear but made it to shore. 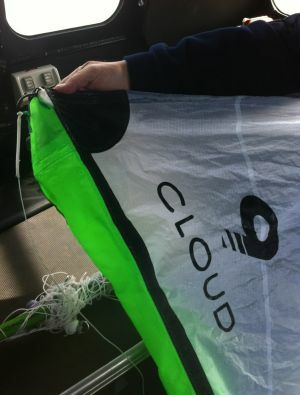 Make sure you write your name and phone number on all your kites and boards you can be contacted if they are found! They eventually managed to establish that the kitesurfer made it in and called off the search. They do get a few of these jobs and activate all assets straight away whilst establishing the safety/whereabouts of the missing person. They often get people telling them they saw the MP make it in but until they have confirmation or are confident of witness evidence then they continue to search. Their job would be MUCH easier if the kitesurfer involved or someone else rang triple 0 to let them know he/she was OK. If in doubt, call it in. You may save $thousands. Air time for choppers is very expensive and best avoided. Session 336. After a couple of weeks off the water I was in the grip of cabin fever. Storms and cold weather were forecast today across Victoria but I was keen to go kitesurfing if conditions were OK. Headed to Brighton with Stu Styles. Just as we got there and pumped up the northerly wind dropped off and some very dark clouds were looming out to the west. I donned my bunny suit then my dry suit and headed out on my Lithium 9 just after a couple of kiters left the water. There wasn't enough wind to stay upwind for a couple of runs but then it picked up a bit and I got some good runs in along the beach. Stu got some great pictures from the shore with my Nikon. Conditions were cold but I was toasty warm, even sweating, in my Ocean Rodeo drysuit. I came in before the looming squall hit then we headed to the White Rabbit cafe in Brighton for a great coffee and muffin.